﻿ Arabelle Suites, Bohol | FROM $18 - SAVE ON AGODA! Have a question for Arabelle Suites? "We had a good stay." 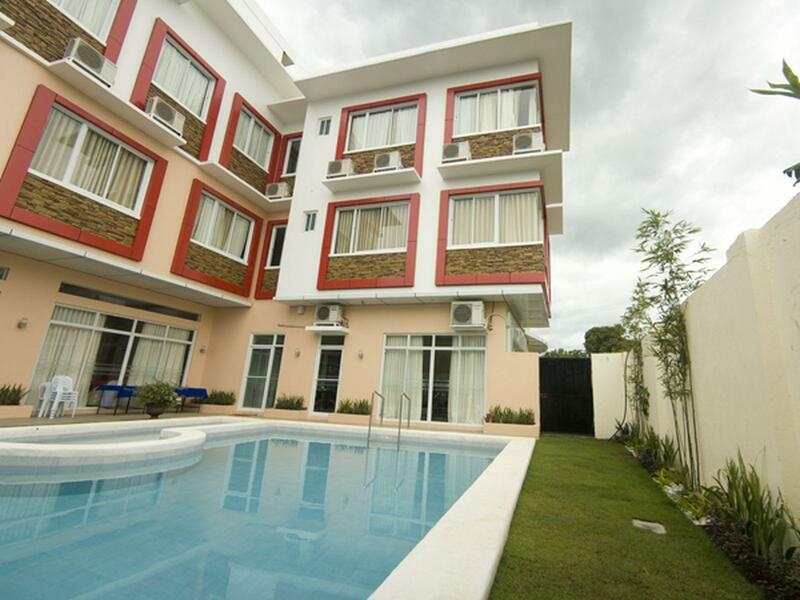 "Good location since near the airport"
Designed for both business and leisure travel, Arabelle Suites is ideally situated in Tagbilaran; one of the city's most popular locales. From here, guests can enjoy easy access to all that the lively city has to offer. 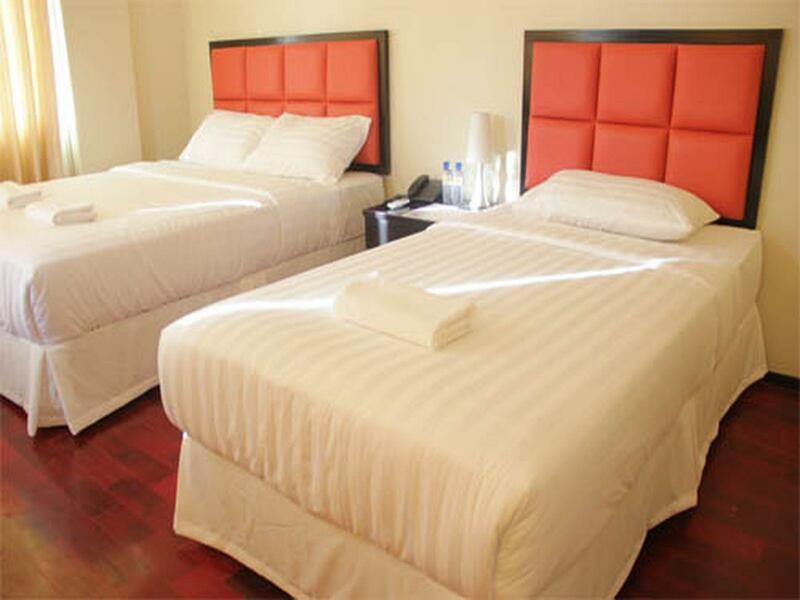 This modern hotel is in the vicinity of popular city attractions such as Mag aso Falls, Plaza Marcela, Blood Compact Site. The facilities and services provided by Arabelle Suites ensure a pleasant stay for guests. Top features of the hotel include 24-hour room service, free Wi-Fi in all rooms, Wi-Fi in public areas, valet parking, car park. Hotel accommodations have been carefully appointed to the highest degree of comfort and convenience. In some of the rooms, guests can find television LCD/plasma screen, mirror, towels, internet access – wireless, internet access – wireless (complimentary). The hotel's recreational facilities, which include outdoor pool, massage, pool (kids) are designed for escape and relaxation. Enjoy unparalleled services and a truly prestigious address at the Arabelle Suites. "The staff are very accommodating." Our room had black mold on the ceiling, dusty, bathroom smelled (esp the toilet and sink). They cleaned their dirty pool the day we got there and emptied their water tanks, at the end of the day-- our water ran out as my kids were taking showers. It took hours before it came back up that my kids feel asleep with no showers. It was super bad that we checked out early and transfered to another hotel. Avoid this hotel if you can!!! the staffs are all very polite and helpful. The place is really clean. we ddnt use the pool but we saw some guests enjoy it so i guess thats good too. the restaurant looks very nice. Our room is very clean. wud have been perfect if not for the unpleasant smell in the bathroom. and by unpleaseant i mean it kinda smells like drainage. if you wont spent too much time in the bathroom, it shudnt bother you that much. Three floors with no elevator and with steep stairs, so challenging if you are senior or you have heavy luggages. Some staff don't even offer to help you with luggage even if they are going down the stairs behind you. I paid for an Internet connection, BUT the Internet was not working in 3rd floor so you have to go to the ground floor, which is tiring and a real hassle. Only one cushion provided (unlike other hotels) and you have to pay extra P50 for another pillow. 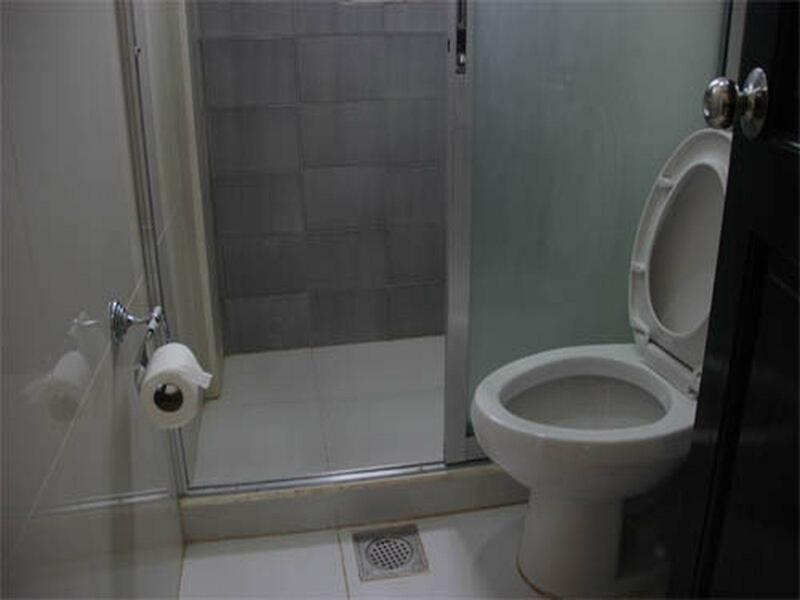 No partition of bath and toilet, so risk of slipping in slippery floor. But breakfast service and cleaning service are good. Stayed here February 2017 with my mom. The place is very close from the airport, wasn't able to avail their free shuttle because I overlooked our time of arrival and opted to tide tricycle instead. Was asked to pay 100 but we refused, another offered us a ride for 30 and I gave 50. Just 5-10 minute ride. 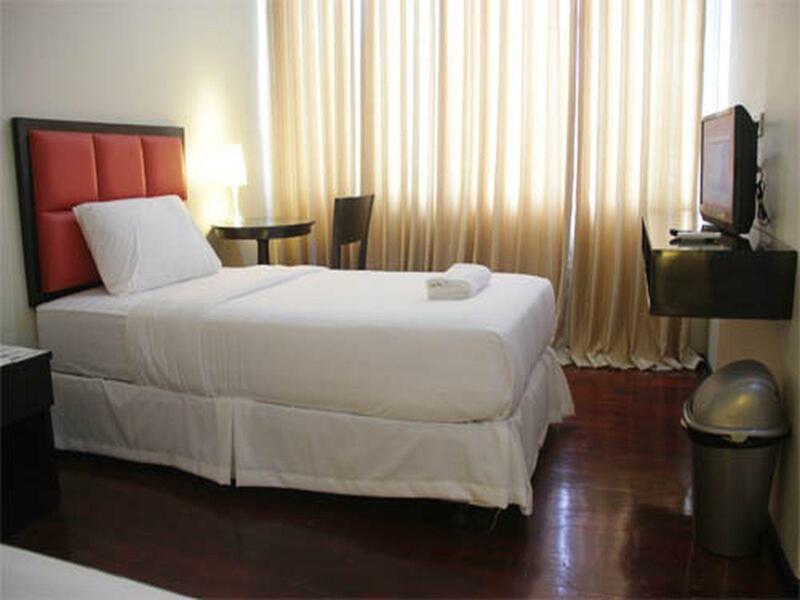 Room is very cozy and amenities are well maintained. Don't expect a 5 star furnishing and facilities, this a budget hotel. Breakfast is ok. Not recommended for elderly as they don't have elevators. They do have a small pool and cafeteria. Going around Tagbilaran City is fairly easy by tricycle. Bohol side trip had a lots of fun. The hotel though it's small but it good. The staff are also respectful. Food is good also and you can request also paluto. We made a marketing and they cooked our food for breakfast. I am appreaciated they offer free shuttle service to the pier. Also, the receptionist is really helpful and willing to reply the questions we asked. Basically, this hotel is value for money in terms of what you spent! The staff are very accommodating. The rooms are presentable and clean. The rates are affordable. If you're on a budget and would like to stay in Tagbilaran, I highly recommend Arabelle among the inns/hotels around the city. Staff are very friendly and helpful. Rooms are cleaned (we got 2 rooms). They have free breakfast. Clean room, kind staff, accommodated us to go to Pier since we're off to Cebu. Very systematic, followed our schedule from breakfast to trasfer and on time. Just noticed that staff like bed and others are put on the 2nd floor and not atleast on the maintenance room. Stairs were dusty, same withb the pool. And no WiFI, needed to find good spot. The only thing i like about my stay was the great food! I like the selections and every dish i tried was delicious! Also i like the staff. Very friendly and accomodating. It's value for money. The place is clean and convenient. The customer service is also great. I love that they offer food options for breakfast and transportation to the airport for free. stayed for 5days. 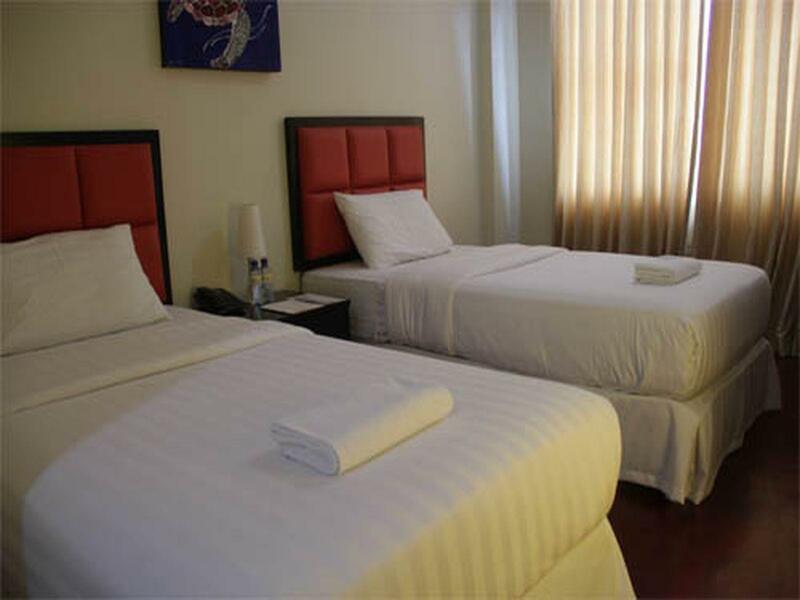 Our standard room is spacious with free breakfast and free shuttle from and to airport. staffs are nice and always smiling. Near to all malls. Cons: need to clean the swimming pool area. we enjoyed our stay. i will recommend the place. the hotel is 5mins away from the airport. the location is far from convinient store. it looks like it is located inside a subdivision.the free breakfast does not taste good, the hot chocolate is oily. no elevator just use the stairs. no free slippers, just bring your own. well, the good thing is they have a nice and very accomodating staffs. standard room is big and price is cheap. they have a swimming pool where you can relax for a bit. it is near to the airport. they offer diffetent tour in the lobby area. they have a free shuttle transport going back to airport. We stayed at Arabelle for 7D6N. But during our 5D4N, we stayed at room 205 which we loooove the most (I have different review about our stay in room 205). We needed to extend our stay for 2 nights so we booked a room again. This time, we booked a deluxe room (Room 204). We we're soo disappointed. Here are the things that disappointed us. 1. Cr- It stinks!!! I can't even stay inside for 5 mins. We don't know where the smell came from but the entire cr stinks :( I can't even brush my teeth properly because I was so distracted with its smell. 2. Curtain- The curtain is so thin. You can't sleep during daytime because the room is soooo bright because of the sunlight. 3. TV- It's not as good as the tv of room 205. 4. CR fixtures- It needs to replaced. It looks really really old and rusty. The mirror is kinda creepy because of its stain. 5. No Bidet- Yes the room does not have bidet :( 6. Bath Mat- Dirty and full of sand. It made our feet dirtier. lol 7. Bed headboard- It's kinda broken. It's moving and noisy. If you have a chance to chose your room, please spare yourself the trouble. The hotel is very good but please choose another room. 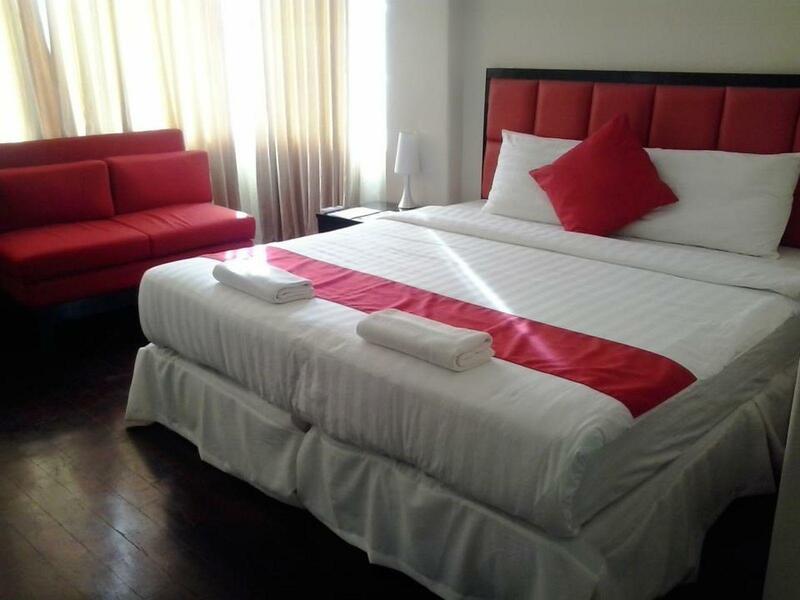 This is an excellent choice for travelers who prefer some place near the airport (which what my friend and I considered when booking for a hotel), so we wouldn't be rushing for our flight back :) Also, the free hotel-airport shuttle service is good :) The room is clean and the beds are comfortable. Room service is also quick! Needs to improve on the following: -weak wifi signal in the room (we stayed on the 3rd floor) -it takes some time for the shower to warm up. We had to turn on the shower for around 3-5 minutes before the water became warm. Overall, we had a great stay at Arabelle. Thank you! AC in room 201 is not working properly. I have to call multiple times for the AC to be checked but still not working so we ended up moving to a different room. Good thing is that the receptionist upgraded our room to Deluxe Type of room so everything went well. And thanks for the free ride going to the Airport.